The Alliance for a Green Revolution in Africa (AGRA), founded in 2006, is an African-led African-based organization that seeks to catalyze Agriculture Transformation in Africa. AGRA is focused on putting smallholder farmers at the center of the continent’s growing economy by transforming agriculture from a solitary struggle to survive into farming as a business that thrives. As the sector that employs the majority of Africa’s people, nearly all of them small-scale farmers, AGRA recognizes that developing smallholder agriculture into a productive, efficient, and sustainable system is essential to ensuring food security, lifting millions out of poverty, and driving equitable growth across the continent. Reporting to the Regional Head/Head of the Geographic Service Team (GST), the Program Officer will be responsible for executing country strategy through grant-making and stakeholder convening, relevant country government relations and policy development and relevant country business development and resource mobilization. Serve as advisor to the Regional Head on key challenges and opportunities for delivery and execution of the AGRA strategy. Reporting to the Program Officer – Nigeria, the Associate Program Officer (APO) will contribute to agricultural transformation by creating partnerships and managing grant making at local level. The role will be based in Abuja, Nigeria. Work with government at local and national level to design and implement agricultural transformation initiatives. Work with private sector at local level to upgrade agricultural value chains and expand market opportunities for smallholder farmers. Assist the Program Officer to create road maps documenting the resources and constraints to agricultural transformation. Assist in the identification of opportunities for investments via competitive grants. Coordinate capacity building of grantees in data capturing, management and reporting. Monitor, evaluate and supervise grantee activities. Provide regular periodic reports as may be required. Carry out administrative functions such as coordination of periodic audit, stakeholder forums etc. Coordinate with other players to create synergies between AGRA funded programs and other agricultural initiatives. 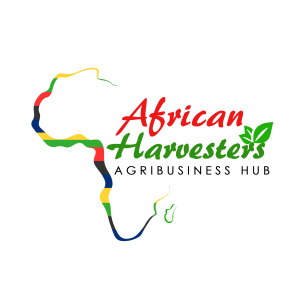 Minimum of 7 years experience in agri-business and development efforts in Africa. Experience in managing multinational initiatives in the private and/or public sector with a sound knowledge of, and experience in agricultural trade development at national, regional and/or international level. Reporting to the Vice President for Country Support, Policy & Delivery, the Regional Head will lead the execution and delivery of AGRA country business plans in Ghana and Nigeria. He/ She will be responsible for AGRA’s direct country support, engagement with government, donors, and implementing partners, grant making, local policy influence, and overall establishing AGRA locally as a thought leader and go to partner for an inclusive agricultural transformation. The role is based in Abuja, Nigeria. Mentor and develop direct reports to ensure a healthy talent pipeline. Interested and qualified candidates should send their applications with a detailed CV (including your e-mail and telephone contacts) to: [email protected] noting to quote the job reference number. I needed to thank you for this fantastic read!! I undoubtedly appreciating every little bit of it I have you bookmarked to check out new stuff you post.